A HUGE shout out to the 5th grade students of Janie Lonia-Jefferson's class at Dane Barse Elementary School in Vineland, NJ. They created and presented lessons on Autism for the other classrooms in their building and sold bubbles, stickers and pencils to raise money for Puzzle Peace United. The staff also contributed by holding a dollars for doughnut day!!! A total of $258 was donated!!!!! Go BARSE!!! Thank you, Thank you.....and happy Autism Awareness month!! Puzzle Peace Moms Autism Support Group is a very informal place for parents to vent and gain support while facing the challenge of raising a child with Autism. The children and their siblings are welcome to attend the meetings, they can enjoy a supervised craft, or activity, while the adults talk. There are light refreshments, and a time to relax and let the children just be "themselves" without judgement or funny looks, because we all understand.We will be going on outings as a group, fundraising, hosting workshops, and having speakers and events to spread Autism Awareness! Thank you to all our sponsors and to the local businesses for their donations;because of you our first annual spaghetti dinner was a success!!! Thank you to our fundraising coordinator Louisa Carll and all our other members who helped with the event, without all of you none of this would be posible. Lastly, I would liked to thank CUBED for our improv entertainment, they were great!! Check out our gallery to see pictures from this event. 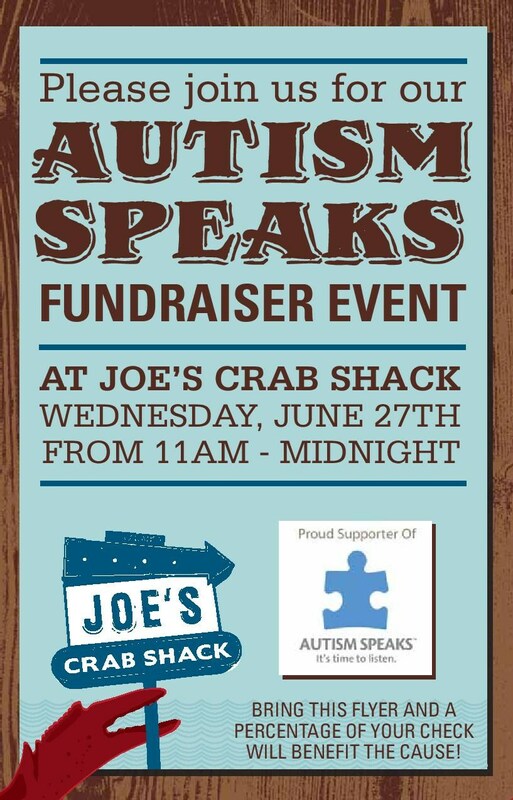 All proceeds from this fundraiser will go towards our upcoming free event for children with Autism and their families....stay tuned for details! We will be holding a general members meeting on December 5, 2011 at 4:15 pm at Pizza Queen (corner of Magnolia Rd. and Main Rd. in Vineland,NJ). All are welcome to join!!! If you are interested in becoming a member email jculican@puzzlepeaceunited.org or come on out to our meeting next week. Babies R Us and Toys R Us are selling a limited edition Playtex Insulator Cup, featuring artwork designed by a child with Autism. Playtex will donate a portion of each sale to Autism Speaks! I wanted to share a site I came across called The Autism Calendar. This site lists out events in each state and even some other countries for children, families and professionals on Autism. There is even a place on the site that shows online events and specials!!! !